Behind the Mask is available! The much-anticipated (by me, among others) anthology Behind the Mask is now for sale in print and in electrons at the online retailer of your choice. I've had a couple successes recently, and more of the usual rejections, the things every writer warns you about. (Since they are writers, these are actually objections about which you are warned.) I got back the edited proof of my story that will appear in the upcoming book Behind the Mask, and the editor had added a couple positive comments that made my entire day. I was feeling invincible, until that afternoon I received two story rejections from other publications in the span of a few hours. The linked article [The Year in Slush] gives more detail about their high rejection rate and the relative unlikelihood that any given submission will be accepted there. Authors, the odds are against you. You know what to do: ignore the odds. Speaking of Behind the Mask, if you enter this giveaway on Goodreads right now you'll have a chance of winning one of 5 advance reader copies. The deadline is 3/25, so don't hesitate. I'm thrilled that my story "Over an Embattled City" was selected to appear in the upcoming anthology Behind the Mask by Meerkat Press. 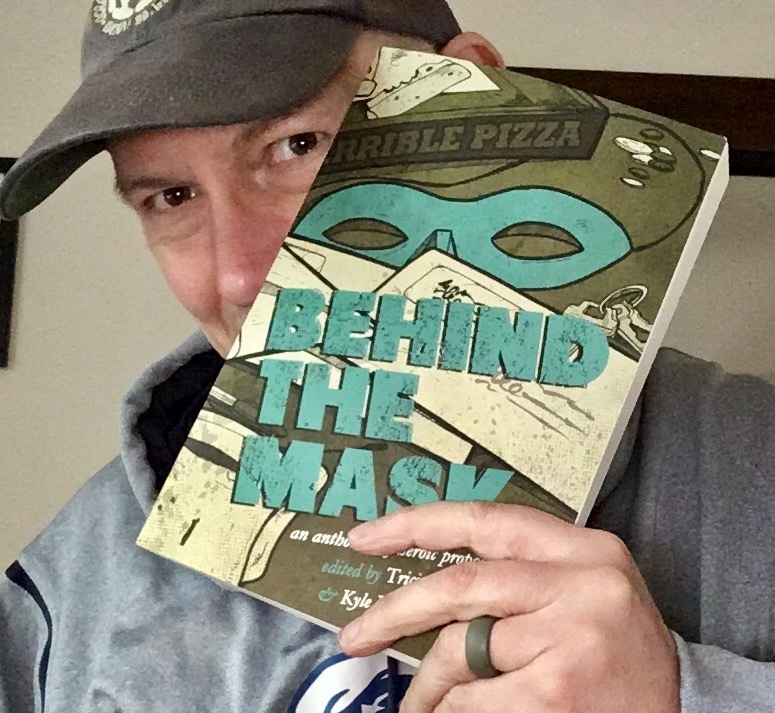 Behind the Mask is a collection of superhero-themed stories with a twist: it strives to explore the lives of masked vigilantes when the mask is off, the rent is due, and the laundry needs to be transferred over to the dryer. What has me particularly exuberant is the company I'm in: Behind the Mask will feature stories by the esteemed (Pulitzer Prize finalist) Kelly Link, (Nebula and World Fantasy Award nominee) Cat Rambo, (Nebula winner and rock star) Sarah Pinsker, and other outstanding authors. It's really a hell of a lineup, and I'm honored to have a place in it. Behind the Mask is expected to be released in May 2017, so you can expect some more shameless promotion in springtime.